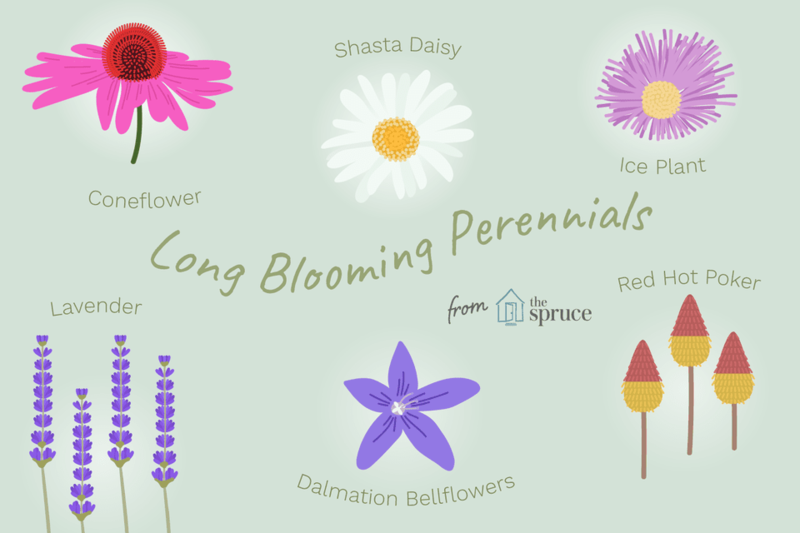 Long-blooming perennials make life easy for gardeners who crave color all summer. To be sure, through careful selection and planning, a continuous sequence of bloom can be achieved using a multitude of plants which flower for but a brief time. But having perennial flowers which bloom all summer gives you more room for error. Just plant these workhorses in a place where they will be happy and let them do much of the work for you. Of course, as with all plants, some work is still required when it comes to weed control, deadheading, and dividing perennials. Take a look at a few as you plan your flower garden. Come July, garden phlox (Phlox paniculata) is a staple of the garden. This long-blooming perennial flowers all summer and may continue its display into fall. 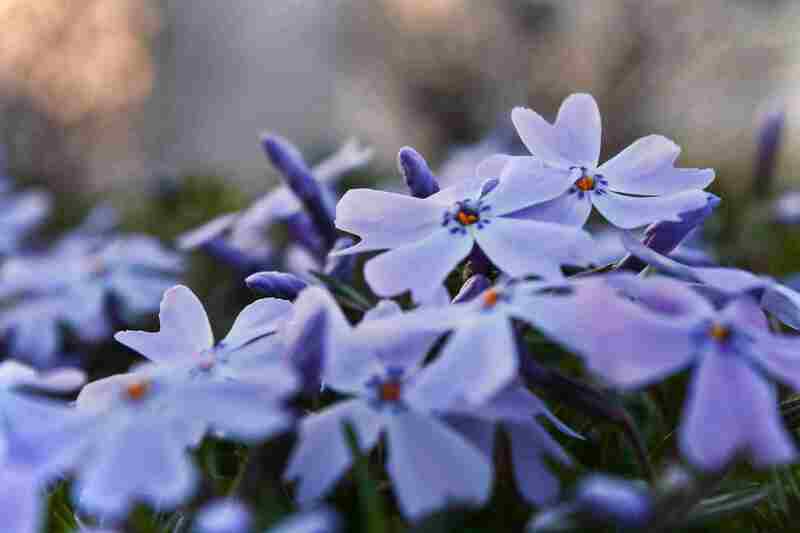 But if you grow a traditional type of garden phlox, perhaps you have had to tolerate the presence of powdery mildew disease on your foliage for years. That is too bad because that white film definitely detracts from the overall look of a plant. Newer types such as "David" garden phlox, however, are mildew-resistant, which keeps the foliage nice and healthy-looking all summer. Stella de Oro is a kind of daylily. Valued as a compact plant, Stella de Oro, like yarrow (below), requires little care. This daylily flowers early (in the context of this list of long-blooming perennials) and thereby complements other later bloomers. If you travel back through the mists of history, you will find that "daisy" was once spelled "day's eye"—a metaphor for the sun, and very much reflective of the ambiance created by this plant. It is difficult to contemplate a daisy and not come away with a sunny outlook on life. But this classic flower is more than just eye candy. Becky Shasta daisies are tough plants, displaying resilience and endurance which belie their delicate appearance. If you deadhead your salvias regularly, these perennials just might bloom all summer for you. Depending on where you live, Victoria blue salvia might be an annual in your zone, but it is still well worth growing. "Blue Hill," "May Night" and "Caradonna" salvias have good cold-hardiness and the flowers bloom all summer. For a tall plant, Russian sage has rather small blossoms. But what it lacks in size, it makes up for in numbers. This long-blooming perennial is showy–but in the most tasteful way possible. Along with lavender and coneflower, yarrow is one of the herb plants on this list of perennial flowers which blooms all summer. Yarrow plants were widely used medicinally prior to modern times to stanch the flow of blood. In fact, the medicinal use for yarrow is responsible for the plant's scientific name, Achillea. Today, most of us are more interested in the beauty and low maintenance of yarrow than in its herbal use. Lavender-scented linens, sachets, and potpourris provide a nice touch in a home and are ridiculously easy to acquire. Even people with no interest in such domesticity grow lavender plants. Why? Because these herb plants bring a touch of class to the landscape, too. Technically, ice plant is hardy to zone 5. In reality, at the northern end of its range, it is not the easiest plant to grow—winter hardiness simply is not a given in this subregion. But if ice plant survives the winter where you live, by all means, take advantage and grow it. This groundcover boasts both vividly-colored flowers and unusual leaves. Like several of the flowers on this list of long-blooming perennials, coneflower is drought-tolerant. Plant it in a hot, sunny location and it will bloom all summer with minimal irrigation. As a bonus, this plant even tolerates poor soil. There is a lot to like about Coreopsis verticillata "Moonbeam," including its threadleaf foliage, drought-tolerance, and bushy growth habit. But, first and foremost, Moonbeam coreopsis is a long-blooming perennial with brightly colored flowers that will cheer you up. Many people, upon hearing the words "butterfly bush," will immediately object, claiming that it is an invasive plant. Indeed, Buddleia has had a bad rep in various regions. However, a new Buddleia has been developed, called "Blue Chip" butterfly bush, and it is supposed to be non-invasive. Like daisies, it is easy to underrate this popular, long-blooming perennial simply because it is so common, but there is often a good reason why a plant achieves widespread popularity. Garden snobs may cling to their hard-to-grow novelties, but it takes true maturity as a gardener to grant a plant like Rudbeckia its due. It is popular because it blooms all summer, warms the yard with its cheerful color, and requires minimal care. This last point is an important consideration for those seeking a nice-looking yard but who have no desire to spend hours on perennial care. Autumn Joy sedum flowers technically bloom in late summer and are most valued for the autumn interest it provides (thus the name). They are massed together in flower heads that are 3 inches or more across. The flowers of this long-blooming perennial can be yellow, orange, red, or pink. Nevertheless, thanks to its showy buds, Autumn Joy merits grouping with the perennials that bloom all summer: its summer flower buds catch the eye long before they open. Do not confuse "catnip"—the herb famous for driving felines into a frenzy—with "catmint." While catnip is a type of catmint, it is not the plant to which we refer when we discuss growing ornamental varieties. Weedy, aggressively-spreading, and bearing an unimpressive flower, catnip is grown purely for entertainment value: if you own a cat, their reaction to the herb can be highly amusing. But there are other types of catmint (Nepeta) which are great for use in flower beds—long-blooming perennials that can function as ground covers. Many cultivars of speedwell exist, including creeping types. The type referenced in this list of long-blooming perennials is Veronica spicata "Royal Candles," which bears blue flower spikes. This compact plant would, in some cases, work well in the front row of a flower bed. If you like spiky blue flowers, but salvia seems a bit too rambunctious for a tight spot in the garden, speedwell might be just the plant for you. The key to extending its flowering season is regular shearing. There are many varieties of red hot poker plants from the "Popsicle" series, specifically, "Mango Popsicle," "Pineapple Popsicle," and "Redhot Popsicle" that are long blooming. Of the three, the pineapple has so far proven to be superior as a long-blooming perennial. The form of the flowers readily invites you to surround them with other plants with which they will contrast strikingly. The grass-like leaves of red hot poker plants hold out a similar invitation, even when the plant is not in bloom. Dalmatian bellflower goes by the rather oafish botanical moniker of Campanula portenschlagiana, but do not let that put you off. In the blooming game, this plant has no quit in it. Besides, if you enjoy growing a genus of solid pedigree, it is hard to beat Campanula. It is possible to attain a continuous sequence of bloom without relying on long-blooming perennials. That is, if you are very diligent in doing your homework, you can plant your beds in such a way that, as soon as one ephemeral bloomer peters out, another comes into bloom to take its place. Can You Grow Your Easter Lily Outdoors?